Today I got in my 2009 Aspen Hemi, I turned the key over and nothing happened. The red security light was flashing like crazy as well as the usual light ups if you just turn the key to on. It was also flashing NO BUS where the odometer is. i turned everything off, hit lock, unlock, open and closed the door and tried it again. It fired up. Now my overhead display doesnt work at all, and my auto climate control will only work in manual. you have a module issue which one cat say its taking down teh network. Thanks. It came with 3 month 3000 mile warranty so I'm hoping the dealership will take care of it. They should considering I've had it for maybe 2 weeks. The dealer I bought if from is going to get it in next week. They have to fix the exhaust manifold leak as well. It has been running and starting fine. It hasn't flashed NOBUS since the first time. Still no EVIC overhead display or automatic climate control though. Does anyone know the fuse location for the EVIC? 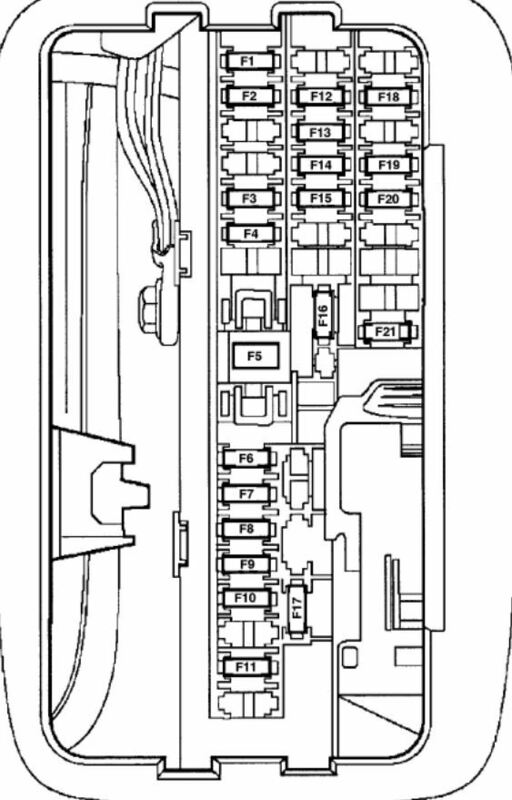 The book says F15 15 amp fuse in the kick panel fuse box, however when i look at the layout on the cover there is no F15 showing on it. I did check all of the 15 amp fuses in that box already. That doesn't mean someone didn't put the wrong size in there in the past though. Here you go. F15 is the correct fuse for the EVIC. Last edited by 15951a\; 08-07-2015 at 08:29 AM. just checked it with a meter. It is fine. As of this morning my auto climate control started working on its own again. still no EVIC. everything is working but that. I guess I'll just wait until i take it in to the dealer next week. I did forget to mention in my original post that this all occurred right after a pretty heavy rain. I looked all over and nothing seemed wet. I checked the fuse boxes and everything. It's possible the leak is there, but not bad enough to be obvious yet. It would be a good idea to blow some compressed air through the sunroof drains to clear them.